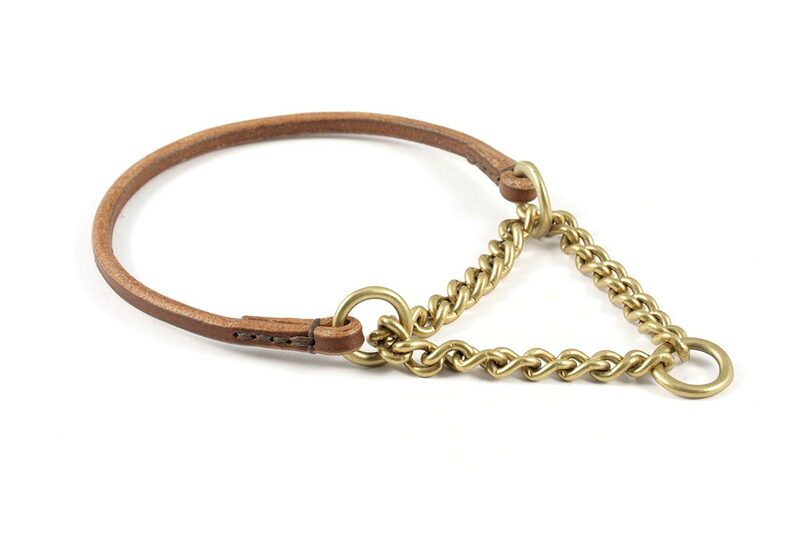 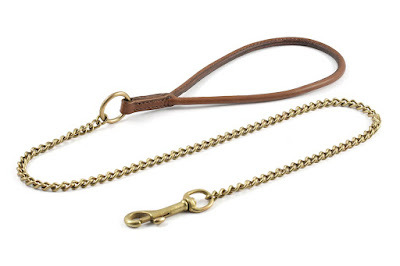 This is a martingale collar made in rounded leather with a brass chain martingale suitable for small size dogs. 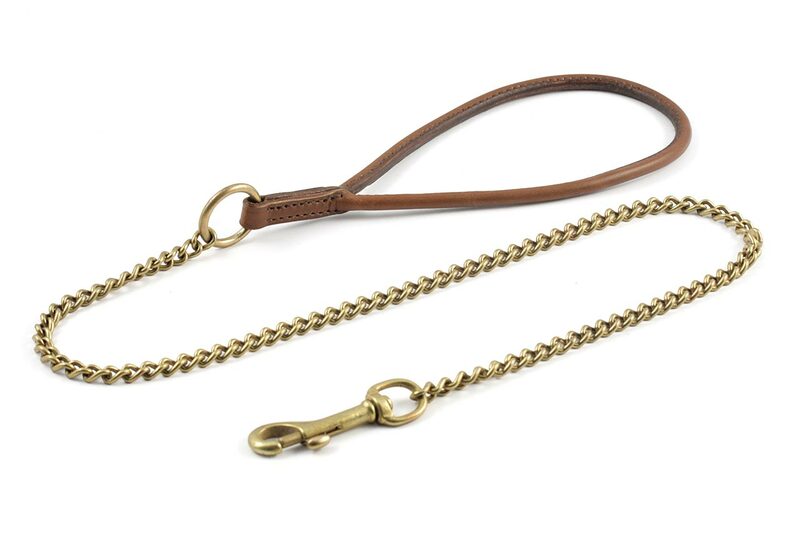 The rounded leather is made from a 1/4" wide conker leather strap, while the 4" long martingale features 1/2" rings. Length goes from 10" to 14".